When drinking at Izakaya(informal Japanese style bar) in Japan, sometimes sake is served in this style: server put a glass inside the Masu or sake saucer and pour until sake overflows from the glass. 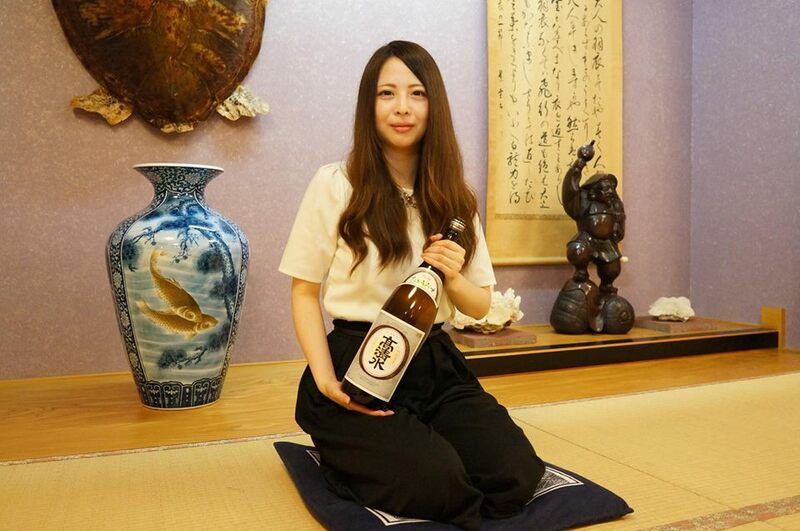 This mokkiri beauty is Ms. Aya Natsui who is working at Akita’s local company. “I love the things made in my hometown. Of course sake is as well and Akita’s sake is No.1! It is still two years since i became a drinkable age, but I always learn about sake from my parents who are strong drinkers” she said. She is an innocent mokkiri beauty who makes us feel like to meet again when her current freshness turns into be more adult-like amorous in the future!